Ever since its glorious debut in September, Sam Smith's "Writing's on the Wall" has been in high rotation for many. The Spectre theme song is great in the context of James Bond — but is also exciting for Smith's fans, who are anxious for any music from the singer. While he's gearing up for a break, we can enjoy "Drowning Shadows" — a new song that appears on the deluxe edition of In the Lonely Hour. Smith spoke about the inspiration of the song to Zane Lowe's Beats 1 radio show, explaining (via Rolling Stone), "One road would lead to gay clubs I used to go out to, and the other road would go home. I was in such a lonely, sad place when I was writing this album that sometimes, I'd literally have to choose. The lyric is, 'Do I go home for nothing or stay out for more?'" 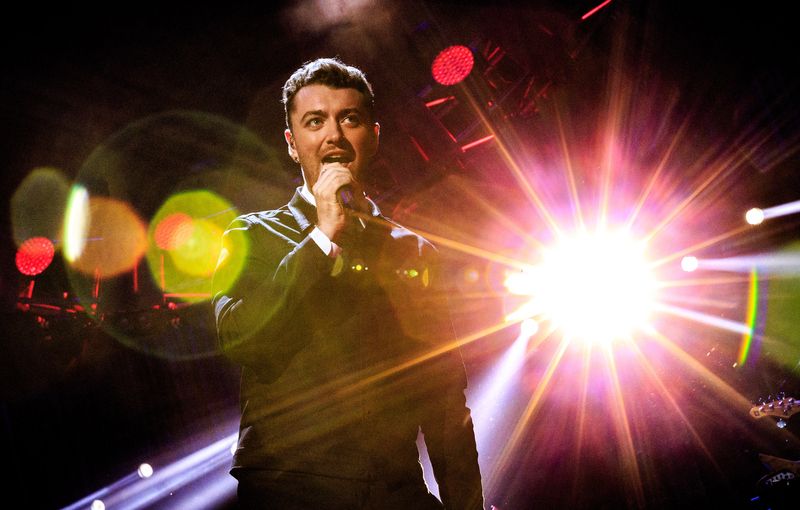 In typical Sam Smith style, the lyrics cut close, sparing no emotion as they explore inner struggles. While not everyone will relate to Smith's story specifically, we all face bouts of loneliness and doubt, and that's where this song really resonates with its listeners. He hones in on the feeling of pressure to conform, of acting or feeling a certain way, singing, "Am I wrong to give in to the pressure? / Cause I feel like the city's got the better of me / Oh, this casual love isn't what it seems / And I try to imagine something closer / And somebody who is good for me / I'm so tired of all this searching / Do I, do I, do I, do I." This restlessness is definitely familiar, but Smith's voice adds an extra layer of poignancy. However, it's the chorus where Smith truly hits his stride. "Go home to nothing or stay out for more?" he asks. "Give in to someone or lock down my door? / Or drown all my shadows, drown them like before? / I'm drowning shadows once more." While this song didn't make the original release of In the Lonely Hour, contextually, it fits right in. Loneliness and isolation are the center of this track. There's definitely a sadness to "Drowning Shadows," but Smith has a way a reassuring us we'll get through it. You can listen to "Drowning Shadows" in the embed above.